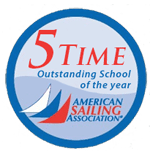 Lanier Sailing Academy provides certifications/curriculum from the American Sailing Association. We pride ourselves in providing live telephone support that enables you to realize your sailing dreams. Please feel free to call us or fill out the form below with any questions.